It looks like the violence in John Wick Chapter 3 is going to be kicked up a notch if the new working title is any indication. The over-the-top action thriller franchise has become an unexpected hit and fans are impatiently waiting for the third chapter in the series, which is currently in production. The previous working title for the third installment was Alpha Cop, which seemed pretty meaningless, especially when compared to the latest working title that has been revealed. The new working title for John Wick 3 is Parabellum, which is Latin for "Prepare for War." This new title isn't really a surprise considering the events of the last film, but it seems that it's going to deliver the goods in the violence department. It appeared that Wick was going to possibly retire with his dog after the last installment and the new working title obviously dispels that rumor, which was pretty obvious to begin with. John Wick 3 is going to be a bloodbath, so moviegoers should prepare accordingly. A recently released synopsis reveals that John Wick will be fighting his way out of New York after a $14 million bounty has been placed on his head. 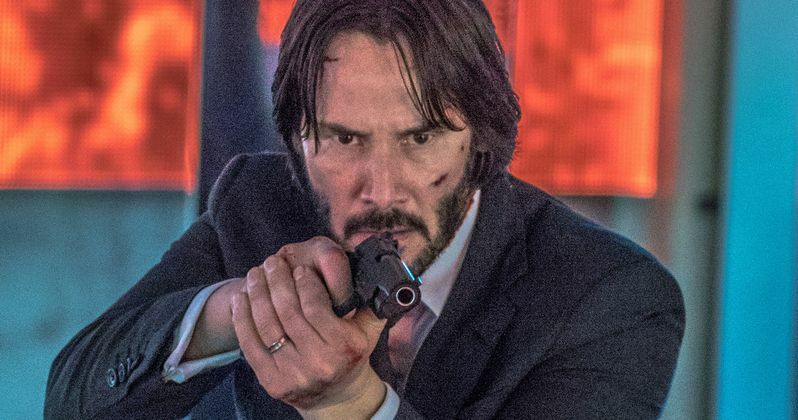 If prepare for war wasn't enough to promise some violence in John Wick 3, the name Parabellum is also the model of a Luger pistol, meaning that fans of the Keanu Reeves-led franchise might be in for more of an intense ride this time around, which is really saying something when compared to the first two chapters in the series. For a movie that's all about weaponry and mayhem, Parabellum seems like the perfect working title. Following the box-office success of John Wick: Chapter 2, which made nearly $170 million on just a $40 million budget, it was quickly announced by director Chad Stahelski that a third installment was in the works. Now, the movie is reportedly in production with a target release date of May 19th, 2019. Stahelski has revealed that John Wick 3 will be the final chapter in the series and also noted that the movie will dive into the titular character's past, bringing the franchise full circle. Even though John Wick 3 will be the final movie in the series, that does not mean that the franchise is going to die out. Lionsgate has announced that it is developing a female-driven movie entitled Ballerina that will expand the John Wick universe even further. It was also recently reported that Starz is developing a TV series set in the John Wick universe titled The Continental, which will reportedly take a deeper look at the assassin's hotel featured in the movies. More information should be coming out about John Wick 3 as production continues, but one thing is certain: it's going to be a violent ride. This report about the new working title of John Wick 3 originated from Omega Underground.